Does your carpet need a good cleaning? Are you looking for a carpet cleaner that uses a non-toxic process? At Heaven’s Best, we chase out dirt and banish odor for a cleanliness that’s Heaven sent. We understand you don’t have time to wait for a sopping-wet carpet to dry. We clean your carpet without soaking it. Your carpets are dry and ready for normal use about an hour after we’re done. You spend much of your life in your home and expect to be a safe haven from anything that could do you and your family harm. While you might not expect home cleaning to be a danger, harsh chemicals can cause health problems. The professionals at Heaven’s Best use a gentle, effective cleaner on your carpets. Our water- and citrus-based solution is easy on the environment, good for your carpets and your health. You will rest easy knowing your kids and pets can safely play on the carpet since our cleaning solution does not use harsh solvents. 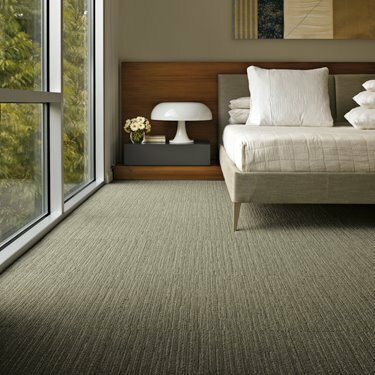 You won’t feel a sticky residue because our process leaves nothing behind but a clean carpet. When we are finished, kick off your shoes, pull off your socks and let all your little piggies go to town in the soft, clean pile carpet fibers. The expert carpet cleaners at Heaven’s Best recommend vacuuming before our technicians arrive. Removing surface dirt makes a deep cleaning much more effective. Our technicians can work around your couch, tables and other heavy furniture. It’s not necessary to rearrange your home or office to accommodate us. We don’t flood the carpet so there’s no chance that water will soak into the pad and damage your belongings. However, if you prefer to move your furnishings before a carpet cleaning, we can help. Having your carpets professionally cleaned is a good investment. That’s because our cleaning methods will extend the life of your carpet. If you allow dirt and debris to accumulate, it will work into the pile, damaging the carpets. We recommend deep cleaning your carpets once a year. For homes with pets and heavy foot traffic, twice yearly cleanings keep dirt under control. Regular cleanings protect your investment, reducing wear from soil and removing stains before they become permanent. Whether it’s dust, dust mites, or other allergens, your carpets may be the reason you are coughing, sneezing, wheezing, or even experiencing rashes. There are many ways to potentially remedy the situation. Besides regularly dusting and vacuuming, or opening windows for circulation, steam cleaning can minimize your exposure to these hidden health problems. Heaven’s Best is a family-owned business that has been serving Clark County Washington since 1999. Our technicians are seasoned professionals, trained and certified in our techniques. We take your safety seriously. Each staff member has passed a thorough screening and background check. Even the most diligent homeowner (or renter) cannot control the occasional spill or stains. Whether or not you avoid those accidents, accumulating dirt, dust and debris is simply a fact of life. Call Heaven’s Best at 360.606.2707 for a free estimate on carpet cleaning and other services such as repairs and stretching. You can also email us for more information or get your free estimate.